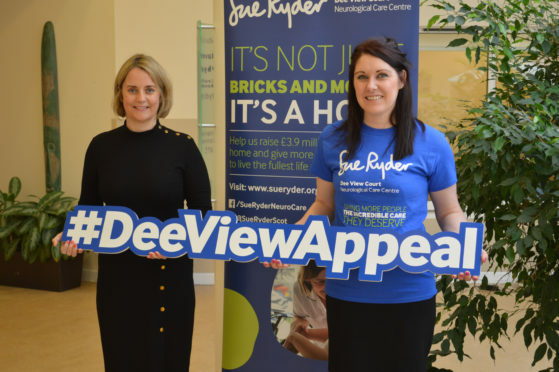 The Sue Ryder facility at Dee View Court, Kincorth, is the only one of its kind in Scotland and is currently in the process of raising £3.9 million to build an extension with 20 new bedrooms. It has now been aided in its quest by staff at Apache North Sea, which has donated £92,000 towards the cause. Of this, £60,000 will be used to cover the costs of building one of the new bedrooms. Meanwhile £30,000 will be used to install patio doors in current residents’ rooms, allowing them to have better access to garden spaces and natural light. Emma Leiper Finlayson, who is heading up the Sue Ryder fundraising initiative, said: “The support we have had from Apache has been nothing short of amazing and we really can’t thank them enough, their contribution makes an incredibly meaningful difference.